Here are 5 pitfalls many of us make when it comes to making our smoothies that can sabotage our efforts and add extra weight. 1. The banana you’re adding spikes blood sugar much like eating white sugar. Nutritionist Sue Van Raes of Boulder Nutrition suggests adding a tablespoon of raw coconut oil to your smoothie and cutting the banana in half. Healthy sources of fat slows the release of sugar into your bloodstream and allows your body to metabolize more efficiently. Swapping out the banana entirely and substituting with berries, lowers the glycemic load even further. 2. Greens might be healthy in a salad, but too often they cause gastric distress in smoothies. If we can’t digest well, we can’t eliminate fully. According to Wellness Resources, “New science indicates that damage to your digestive tract heads the list of priorities for debugging stubborn weight issues”. Poor elimination allows toxins to stay in the body. A toxic body holds on to fat because the body’s innate wisdom knows storing toxins in fat is a far better option that storing toxins in organs. 3. Too much of a good thing is just, bad. As nutritious as avocados, yogurt, nuts and nut butters are, they also pack in huge calories. There’s no need to eliminate them entirely, just cut the amounts in half. 4. Remember your blender is not a single portion container. There’s no need for a morning big gulp. 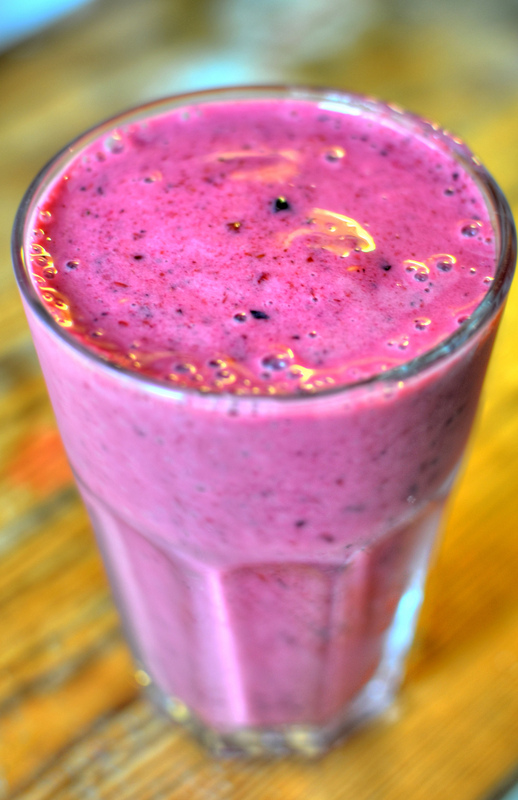 If we’re not careful, early morning smoothies can take on a life of their own. Before you know it, that huge blender container is filled with a 800 calorie monster. Portion control, portion control, portion control. No one needs a 64 ounce smoothie in the morning. Keep your smoothie size manageable. 5. Boxed milk alternatives are deceptive. Almond Milk and Coconut milks are great non-dairy alternatives, but are highly processed and often contain cane juice, preservatives and thickeners. A great way around this? Either use organic canned coconut milk, or make your own nut milk. 2 cups raw almonds (or other raw nut) soaked for an hour and rinsed well. Put in blender and add in 4 cups purified water. Add one date or a tiny bit of honey for sweetness and blend well. The milk comes out white and stores in the refrigerator for a week. Shake well before using. Practicing these 5 easy smoothie tweaks ensures your morning smoothie delivers the healthy on the go breakfast you’re hoping for. For more healthy tips and tweaks, check out Tamara’s virtual 40-day personal reboot program here.